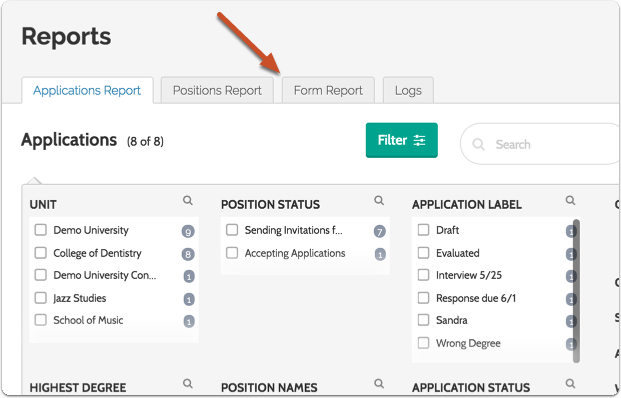 Administrators, Committee Managers and EEO Officers in Interfolio Faculty Search can generate a Forms Report that provides a visual representation of data collected from EEO questionnaires and custom application forms. The report data can be displayed onscreen or downloaded as a .csv file for use in spreadsheet programs. 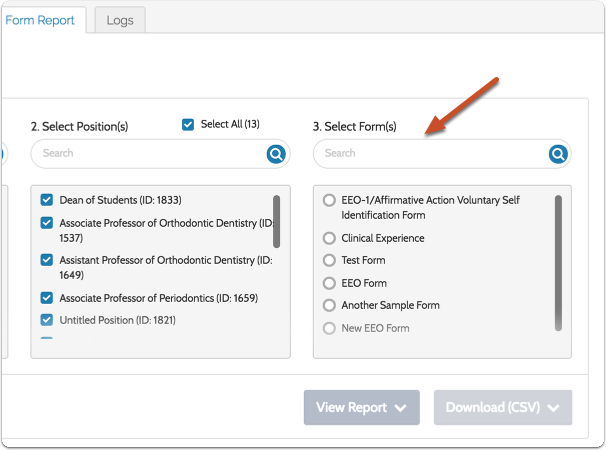 Access to EEO form reports is restricted accordingly to those with partial or full access to EEO information at your institution. 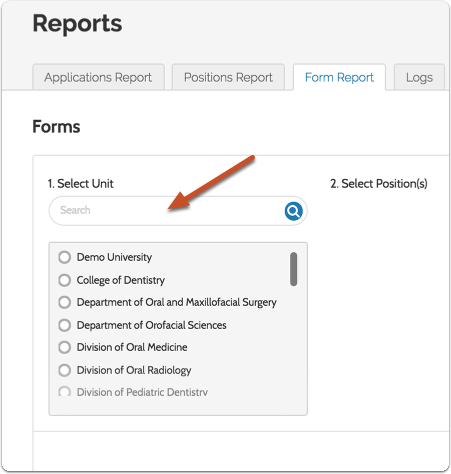 Any Committee Manager, Administrator, or EEO Officer can view a summary of data collected with EEO forms for the units or positions to which they have access. 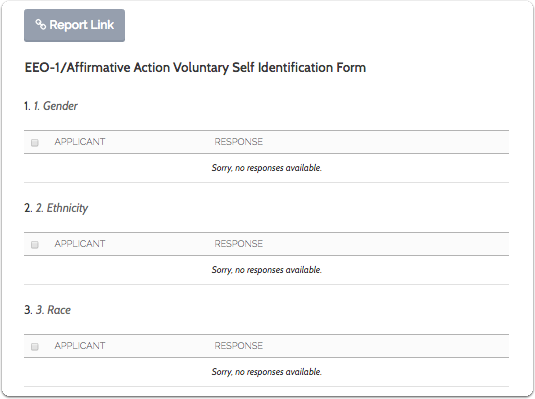 EEO Officers and Administrators who are granted full EEO access can view a report of detailed applicant responses to EEO forms. Committee Managers cannot view or pull a report on individual responses to EEO forms. 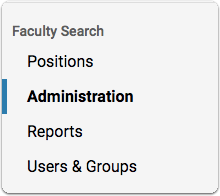 Select Administration from the navigation bar. 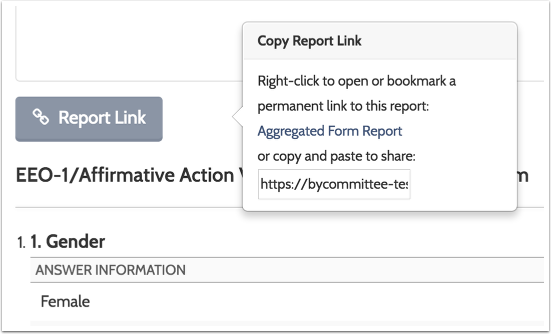 When the report displays, click "Report Link" to open or bookmark a permanent link to the report, or you can copy and paste a link to share the report. 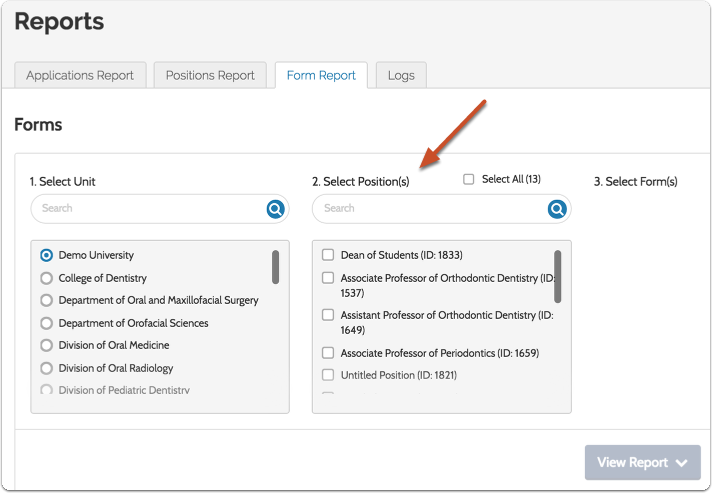 Note: This option will not appear for Committee Managers or Administrators who do not have access to EEO information. 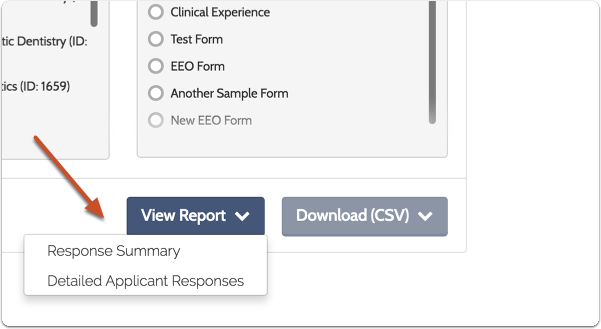 The "Response Summary" report is available to any Committee Manager, Administrator or EEO Officer with access to a position or the unit in which that position resides. 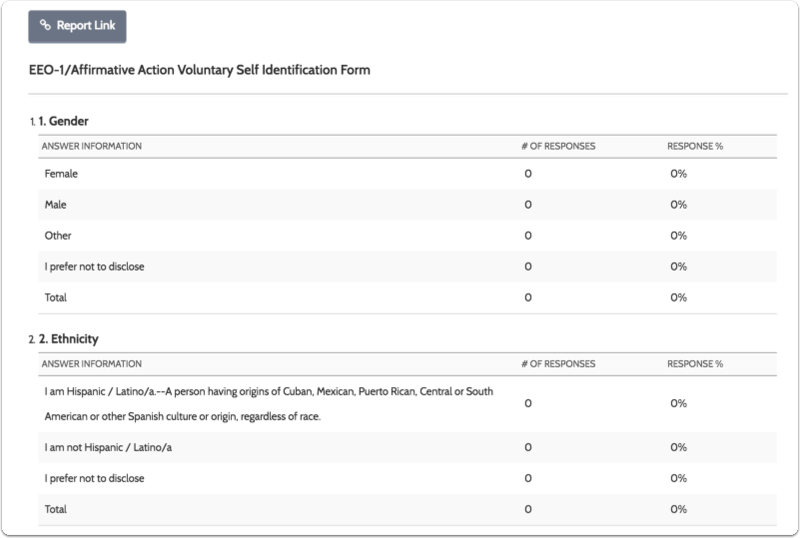 The "Response Summary" provides a summary, detailed category view, and overview of the applicant pool responding to EEO forms. 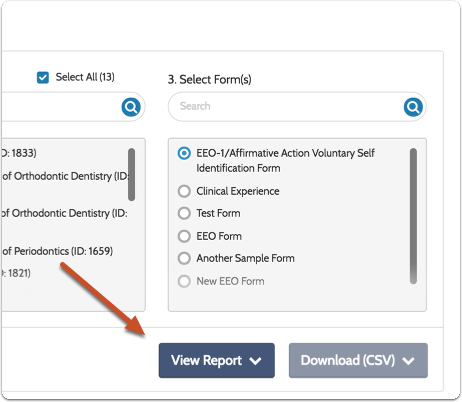 Results can be displayed onscreen or downloaded via .csv file. Both will display your questions & responses, along with a break down of the number of responses and response percentage for each answer value. The Detailed Applicant Response report is available only to EEO Officers or Administrators who have specifically been granted complete EEO access. Committee Managers are not able to pull this type of report under any circumstance. Results can be displayed onscreen or downloaded via .csv file. Both will display the applicant's name and responses to each of the questions included in your EEO form.